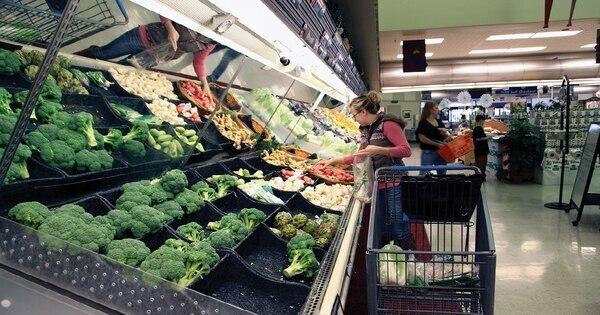 The Defense Department could “harvest significant savings” by consolidating commissary and exchange systems into one entity, and the benefits would “far exceed the costs,” according to new recommendations from a defense task force. The draft report from the task force says its analysis supports merging the above-store functions of the exchange systems entirely, along with the above-store functions of the commissary agency, into a single organization, while keeping specific grocery functions separate. That would happen over five to seven years, if it goes forward. The decision will rest in the hands of Lisa Hershman, acting chief management officer of the Department of Defense. In an interview with Military Times, Hershman said she is gathering feedback from customers and other stakeholders, task force members, lawmakers and others. She said she wants customers to know she’s listening. “We certainly don’t want to subtract from the customer experience,” she said. The goal of any change is to maintain the benefit, and hopefully improve it, she said. The task force’s report was scheduled to go to Congress by Jan. 1, but that was delayed as officials awaited more responses from service officials. An interim report was submitted Jan. 1, but the formal report is expected to go to lawmakers within the next two to three weeks, said retired Maj. Gen. Keith Thurgood, who is the director of the task force, in an interview with Military Times. Lawmakers have required a report so they can be part of the process. DoD could get a net savings of between $700 million and $1.3 billion over the first five years by consolidating the commissary system and the three exchange systems — Army and Air Force Exchange Service, Navy Exchange Service Command, and Marine Corps Exchange, according to a copy of the report obtained by Military Times. That’s after taking into consideration the costs of implementing the consolidation — estimated to be $457 million to $570 million over five years. In addition to improving operations, this consolidation “would also ensure the benefit for patrons of defense resale is maintained and would create no negative impact to the actual experience of shopping,” according to the task force analysis. But it’s not clear how much the customer will benefit from any savings, according to critics. The report notes that “some portion of the savings” could be reinvested to improve the shopping experience for customers, either through more competitive pricing, enhanced store formatting, or other efforts. That governing structure will determine how the dollars saved will be used, he said. The customer won’t see changes that are proposed in back-office functions such as information technology, human resources and financing, with a reorganization that would include the loss of 1,109 full time positions across the commissary and exchange organizations, according to the report. The stores would still keep their branding, for example as the NEX, AAFES or MCX. The savings over at least the first few years will also be used to pay for costs of consolidation, but a $75 million fund would be needed to pay for the initial costs of implementation. Some military resale officials and others are concerned about the validity of the analysis and the potentially harmful long-term effects on the exchange and commissary benefits, stating that the task force’s focus is on cost reduction rather than customer savings and experience in an increasingly competitive retail environment. Questions are being raised about whether the cost savings are overstated, where the money from those savings would go, and whether the costs to implement the consolidation are being underestimated. And family advocates worry that changes might be made that would be difficult to reverse. In his Dec. 6 response to the recommendations, Under Secretary of the Navy Thomas Modly stated, “I found this study to be less than convincing,” in submitting his non-concur position. Modly has since changed that position to concur with the consolidation, but included four pages of comments. “On a general level, [the Department of the Navy] continues to believe that the size of many of the estimated efficiencies was overstated and, consequently, the proposed changes would likely lead to an outcome that is less efficient than described in the analysis." Modly wrote in his Jan. 15 letter. Some DoD officials reportedly put intense pressure on the Navy to change its position to agree with the task force report, according to sources familiar with the discussions. Average savings may stay put, but costs of some items -- likely the best deals -- will go up. Secretary of the Air Force Heather Wilson, Secretary of the Army Mark Esper and James Stewart, acting DoD under secretary of defense for personnel and readiness, have concurred with the analysis, with some strong caveats. He noted that senior leaders from the commissary and exchange resale organizations were heavily involved in the task force, as well as other subject matter experts. “The savings numbers and the costs associated with implementing this are not out of line by any stretch of the imagination with some of the more recent studies,” he said, including the similar recommendation from the Military Compensation and Retirement Modernization Commission in 2015. “Just because you don’t agree with the methodology doesn’t mean it’s wrong. This is a methodology we’ve used over and over again, and it was a very detailed work,” said Thurgood, who previously commanded the Army and Air Force Exchange Service and has been an executive for Walmart, Sam’s Club and Pepsi. He and Hershman also denied that the task force had used selective facts to reach a predetermined conclusion. “There’s nothing fundamentally preconceived about any of this. We used the data to inform our decisions,” he said. Defense officials have concluded they can achieve efficiencies without consolidation, said a Defense Department official. In May 2018, then-Deputy Secretary of Defense Patrick Shanahan ordered a task force be formed to conduct a business case analysis and financial due diligence, and to begin planning for the consolidation of the defense resale system. Shanahan, who is now acting secretary of defense, noted that the defense resale enterprise had been studied repeatedly since 1990 with little or no implementation of recommendations for change. 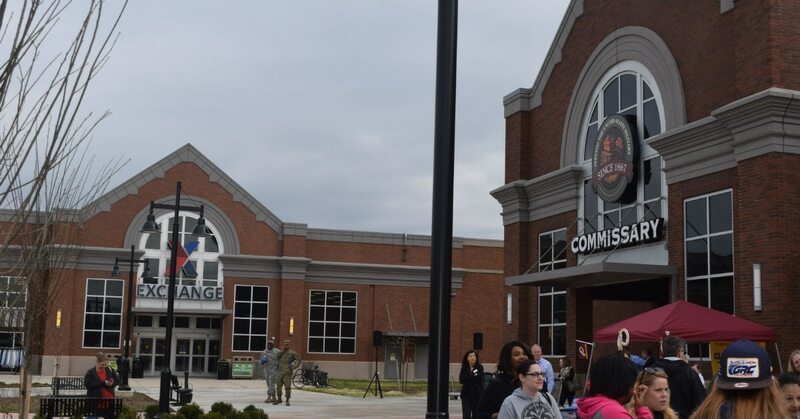 The DoD reform management group recommended consolidate the commissaries and exchanges. Will this put the benefits at risk? “I think the customers don’t necessarily care so much about the back-office operations or IT. There are certain ways to consolidate that aren’t very visible to the customer, and I think that’s not something military customers are concerned about,” said Eileen Huck, government relations deputy director of the National Military Family Association. “But I think they are concerned about the viability of the commissary and its ability to provide low-cost groceries. There are certain items military families depend on the exchange for as well, and they want assurances they’ll still be able to find those. “I don’t have any problem with mergers per se, but I certainly am very hesitant about going down a path that might destabilize the military resale system, especially if that puts MWR dividends at risk,” she said. Service members and families have seen some cuts in morale, welfare and recreation programs over the last few years because of funding issues. The implementation will be done in a “very thoughtful, phased approach,” Thurgood said.